An investigation has been launched after a Falkirk restaurant was damaged in an early-morning fire. 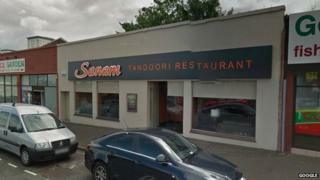 Crews from Falkirk, Larbert and Bo'ness were called out at 05:34 after a blaze was reported in the kitchen at Sanam Tandoori restaurant on Callendar Road. Firefighters used breathing apparatus and hose reel jets to extinguish the fire, which caused smoke and heat damage to the building. The Fire Investigation Team is carrying out an inquiry into the blaze.